After the one extravagant gesture of creation in the first place, the universe has continued to deal exclusively in extravagances, flinging intricacies and colossi down aeons of emptiness, heaping profusions on profligacies with ever-fresh vigor. The whole show has been on fire from the word go. I come down to the water to cool my eyes. But everywhere I look I see fire; that which isn't flint is tinder, and the whole world sparks and flames. "Pilgrim at Tinker Creek". 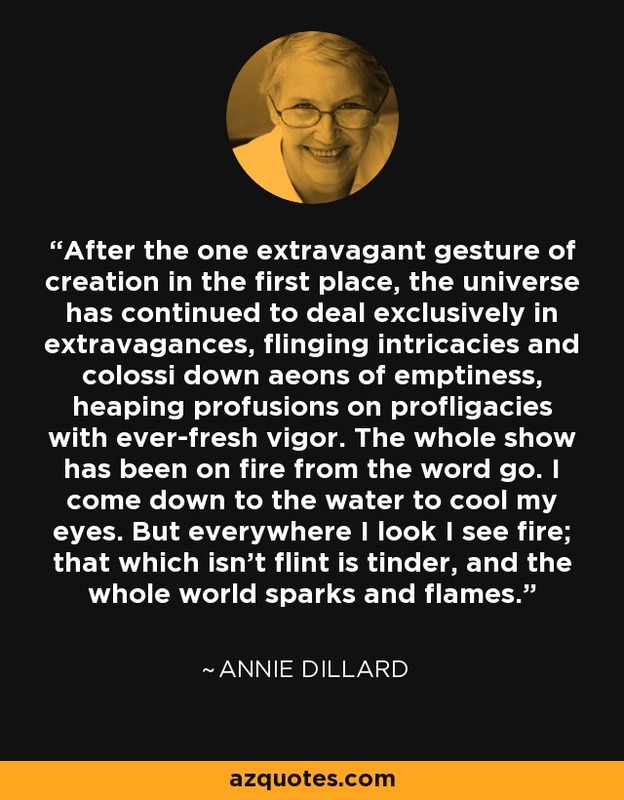 Book by Annie Dillard, 1974.